This is the officially licensed MTA, New York City Subway map shower curtain. The MTA is one of the oldest and most extensive subway systems in the world, averaging 5 million rides per week and runs 24-hours a day. 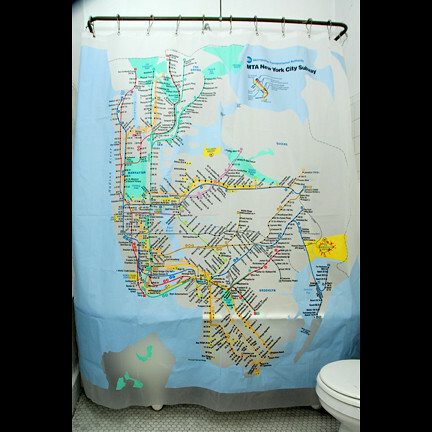 This high quality and durable shower curtain shower curtain is made from eco-friendly 100% PEVA and is both the ultimate souvenir and every day staple for the on-the-go New Yorker. 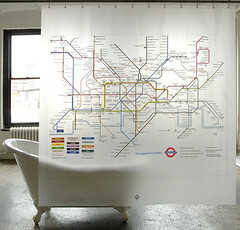 Navigate the world famous Tube with this bold 12-color authentic reproduction officially licensed London Underground Map. Pay homage to this iconic design of one of the largest transportation systems with over 270 stations and 250 miles of track! 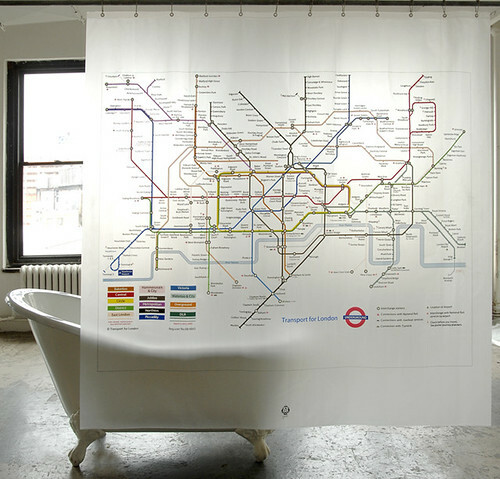 Made from eco-friendly 100% PEVA this high quality and durable shower curtain is the perfect London souvenir or the way to prepare for a trip to London.